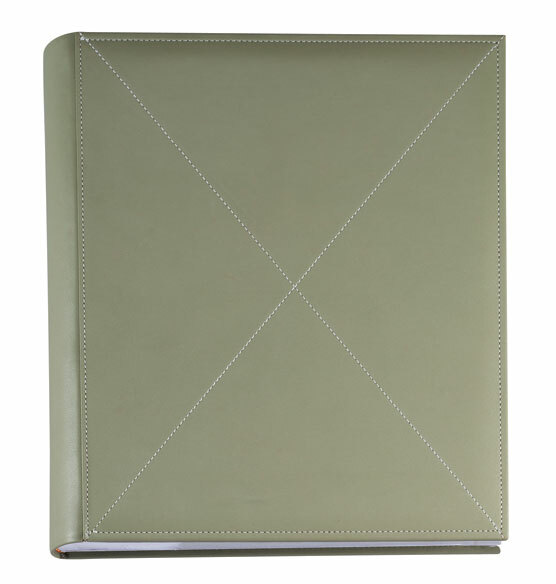 The modern, minimalist design of this leather Cross Stitch memo album makes it a perfect choice for showing off photos. With stitched detailing on the cover, the picture album is a beautiful way to share pictures from a vacation or special event. The memo lines on each page provide room to jot a caption for each photo. The classic lines and neutral color make it a great choice for gift-giving. Tea Rose is not available at this time. This is a top quality album, which can be used with sheets of one's choice - so can be memory book or photo album. Leather bound album. . .liked the color and size. Which sheets are made for these for 4x6 photos? BEST ANSWER: Thank you for your question. The pages are already bound inside the album. The album will hold 4x6 photos but also 3x5 photos. We hope this information will be of help to you. They are not refillable sheets. The sheets are sewn into the album. They have slots for 3 4x6's and a Memo description on the side. How many pictures does Cross Stitch album hold? BEST ANSWER: Thank you for your question. The album will hold 300 4"x6" photos. We hope this information will be of help to you. What are the exterior dimensions of the Cross Stitch Memo album? BEST ANSWER: Thank you for your question. This album is 10 1/4” wide x 13” high. We hope this information will be of help to you. Are the pages 81/2 x 10 inches in size? BEST ANSWER: Thank you for your question. 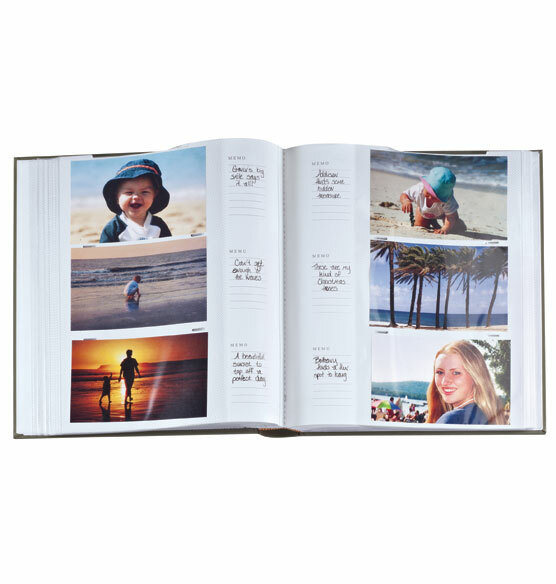 No, these pages hold 3 4x6 photos per side.We hope this information will be of help to you. how are photos mounted? are they pockets? BEST ANSWER: Thank you for your question. The pictures go into a pocket. We hope this information will be of help to you. Are these Cross Stitch memo albums acid free? BEST ANSWER: Thank you for your question. The alum is acid free. We hope this information will be of help to you.